The flooding situation in Somalia has intensified this year, as has the humanitarian crisis it has caused. 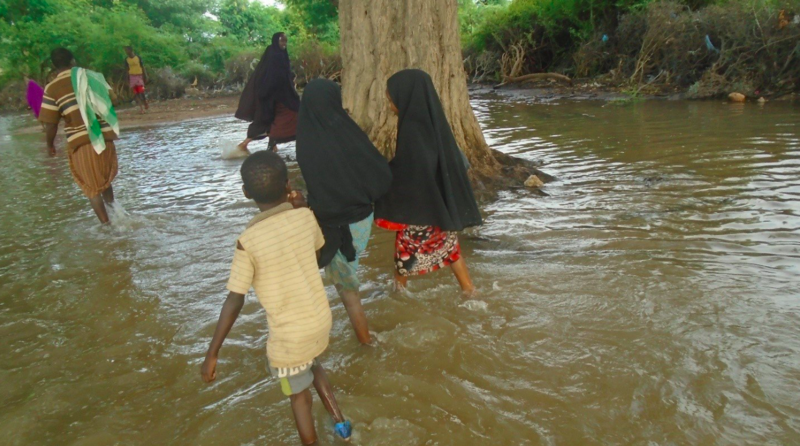 Increased rainfall, which has been observed since the end of March, has resulted in a huge rise in the Shabelle and Juba river levels. This, in turn, has caused serious flooding in southern and central Somalia; around 700,000 people have been affected in flood-prone areas and in excess of 214,200 people have been displaced. As the severity and devastation of the situation becomes clearer, ATM understands that the international community is now stepping up its response. The United Nations (UN) claims that around 175,000 people have been left homeless and are in urgent need of assistance. Hassan Ali Khaire, the Somali prime minister, has made an appeal for help drawing attention to the very real possibility of a Cholera epidemic. It’s not looking good. The UN reports that the urgency of the situation was initially underestimated, because the level of rainfall was much worse than anticipated. Now that the extent of the flooding has been realised, however, charities and agencies are racing to raise more funding for relief efforts. The World Health Organization has now delivered medicines and other medical supplies to the region of HirShabelle, which was particularly badly hit by the floods. The UN reports that peacekeeping troops from the African Union Mission in Somalia have evacuated more than 10,000 residents of Belet Weyne and provided them with essential supplies. International agencies continue to ramp up aid efforts but warn that more money is needed to help all those in need. Here at ATM we stand united with those affected and will help in any way we can – through giving to legitimate organisations and raising awareness. Our hearts, thoughts and prayers go out to all those affected.